The Fergie Jenkins Foundation and Museum in St. Catharines, Ont., will be open tomorrow to celebrate Black History Month. More details below. • When Alison Gordon was assigned to cover the Toronto Blue Jays in 1979, she became the first full-time, female beat reporter in American League history. Sadly, it took her death in Toronto on Wednesday at the age of 72, for many to learn about her trailblazing role. Born in New York City, Gordon attended Queen’s University and worked for CBC in radio and TV, before accepting a position to cover the Blue Jays for the Toronto Star. While working for the newspaper from 1979 to 1983, she had to overcome resistance from some players and opposing teams to gain access to the players in the clubhouse. In her first season, her media credentials were issued to her as “Mr. Alison Gordon.” Her trials and tribulations as a beat reporter are documented in her excellent 1984 book, Foul Balls. After the 1983 season, she left her career as a reporter to write mystery novels and she penned four fiction books in which the heroine, Kate Henry, was a baseball writer who solved murders. Gordon passed away unexpectedly after undergoing a lung procedure at a Toronto hospital. She’s survived by her brother, Charles, a niece and a nephew. 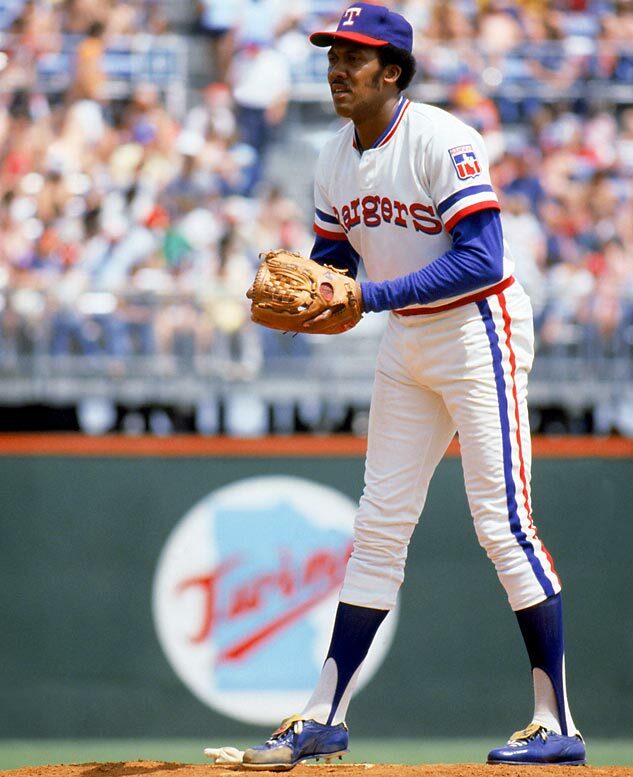 • The Fergie Jenkins Foundation and Museum in St. Catharines, Ont., will be open to the public on Monday from 10 a.m. to 3 p.m. and from 7 p.m. until 9 p.m. to celebrate Black History Month. Visitors can tour the museum which features exhibits on the history of African Americans, black Canadian sports legends, as well as many of Jenkins’ personal artifacts. The first 100 people to visit will receive a copy of the official Black History Month poster released by the Canadian government. There’s no cost to tour the museum, however, donations will be accepted. For more information, click here. • Eduaro Encina of The Baltimore Sun reported on Wednesday that the Orioles are interested in former Blue Jays pitcher Dustin McGowan. The soon-to-be 33-year-old right-hander, who has a long history of injuries, posted a 4.07 ERA in 53 games – mostly in relief – for the Blue Jays in 2014. He became a free agent after the Blue Jays declined their $4-million option on him for 2015 earlier in the off-season. • Here’s an interesting story about Shaun Hagglund, a sports memorabilia store owner and rabid Twins fan who has formed a fast friendship with Justin Morneau. Hagglund is the brains behind Morneau’s excellent fan website, www.justinmorneau.com, which sells autograph merchandise and promotes Morneau’s charitable causes. • Ray Hathaway, who pitched parts of two seasons with the International League’s Montreal Royals, passed away on Wednesday at the age of 98 in Asheville, N.C. Born in Greenville, Ohio in 1916, Hathaway pitched in parts of 20 minor league seasons. In 1945, he posted a 10-8 record and a 4.06 ERA in 24 contests with the Royals. That same season, he saw his only big league action, appearing in four games with the Brooklyn Dodgers. Following his playing career, he became a pitching coach and a minor league manager. At 98 years old, he was believed to be the second oldest living former big leaguer. He’s survived by two sons and three grandchildren. You can leave online condolences here. • By my count, there are only four former Montreal Expos left that will likely see big league action in 2015: Bartolo Colon (New York Mets), Scott Downs (Cleveland Indians), Maicer Izturis (Toronto Blue Jays) and Endy Chavez (Seattle Mariners). Right-hander Luis Ayala and left-hander Bruce Chen remain free agents. Am I missing anyone? • This week’s trivia question: With this being NBA All-Star weekend, I thought a basketball-themed question was in order. Can you name the two former Toronto Blue Jays that also played in the NBA? Please provide your answer in the “Comments” section below. The first person to provide the correct answer will win a 1982 Topps Gaylord Perry card and a 1984 Topps Yogi Berra card. You are correct, Dave. Thanks for playing along. Please drop me a note at kevin.glew@sympatico.ca with your mailing address and I will send the cards out to you. Thank you again. That quote also applies to our visit to LA, home of your fantasy dish, Alyssa Milano … you were right there and never made a move … … … oh, life’s regrets!! !